Retro-Calcaneal Exostosis: Enlargement or calcification on the back of the Calcaneous. Several common conditions contribute to x-rays that reveal calcification in this part of the Calcaneous. A genetic enlargement, apparent in girls especially, is present early in life, and is NOT aggravated by gait related biomechanics. Surgical modification is often the only solution with a true Haglunds deformity. Haglunds Deformity is present early, aggravated by shoes but NOT caused by the way we walk and stand. Retro-Calcaneal Bursitis , may include several different conditions that result in an exostosis of the the posterior process of the Calcaneous, where the Achilles tendon attaches, and conditions that appear to be more calcification of the Achilles tendon. Enlargement of a large bursa in this area may or may not be obvious. These inflammatory conditions DEFINITELY are of bio-mechanical origin and they respond to treatments that change gait. Traditional Orthotics may create enough change to help mild cases of this chronic pain on the back of the heel, but not the more difficult cases. 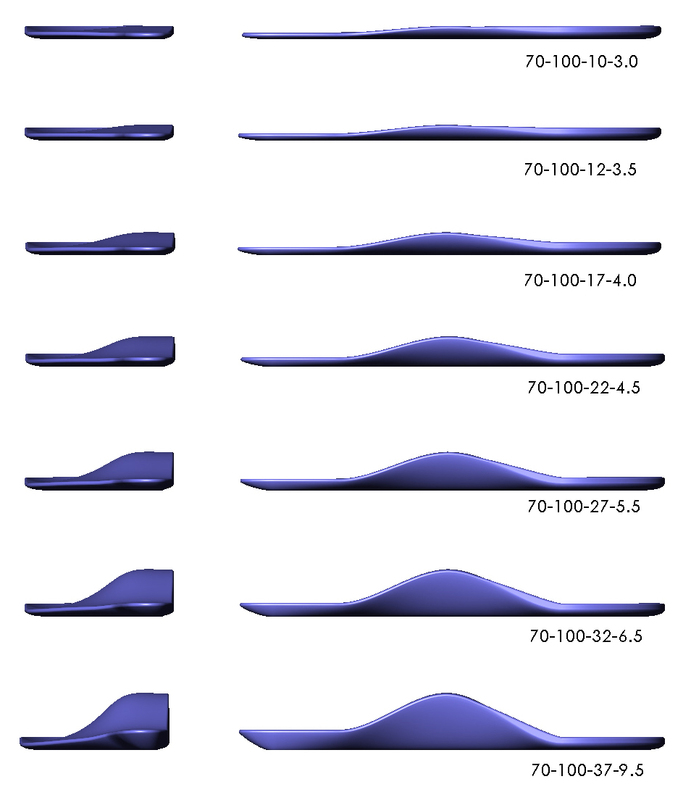 All arch supports/orthotics attempt to change gait, and some do change gait better than others, but all fall way short in the amount of change that can be accomplished with a progressive treatment. Often patients report some noticeable benefits with prescription orthotics from their physician (as much as 22 degrees of angular correction) or other source, they wear them during all weight bearing activity. If however the patients remains active they continue to need medication and physical therapy to control the pain. Most patients who wear orthotics full time are on the lookout for a better orthotic. Theta Orthotics with progressive angular correction can change gait enough to stop all the pain. Progressive treatment with Theta Orthotics begins at a tolerable but helpful correction. 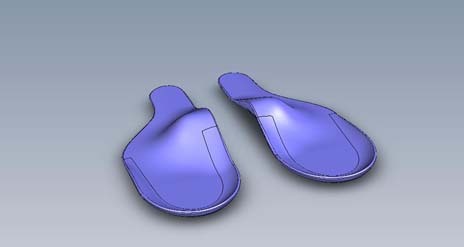 Then as the foot adjusts, the correction is increased. With every 5 degree increase in correction the benefits of the treatment related to pain control are practically doubled. The most common treatment objective, stated by our internet patients, is to be as active as desired without pain. The more difficult cases may require 2 to 3 corrections to meet those objectives.